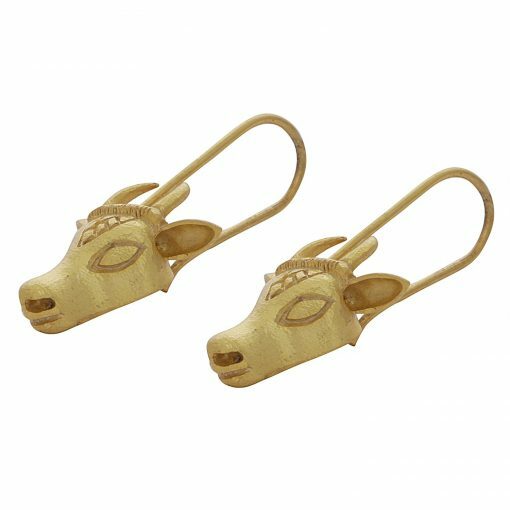 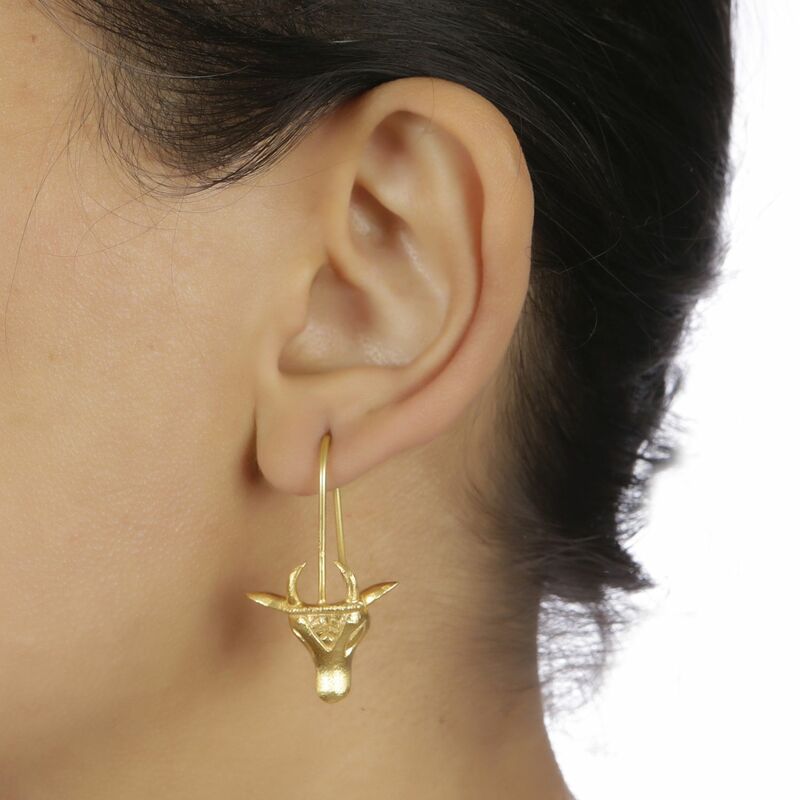 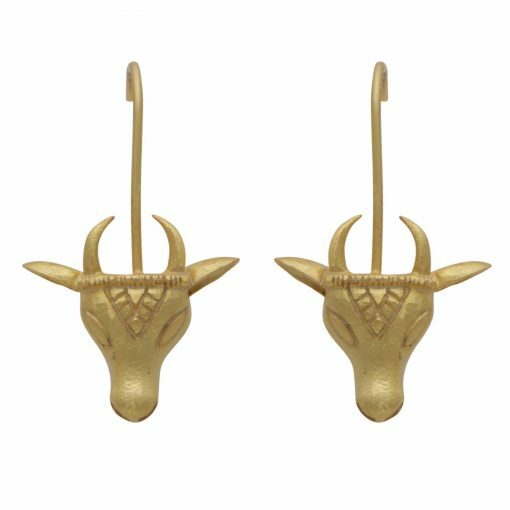 A stylish and interesting pair of earrings featuring an appealing & fashionable take on the cow (often considered a very holy animal in Hindu /Indian culture) and in Kenya often considered as a sign of prosperity and fortune within many tribes such as the Masaai. 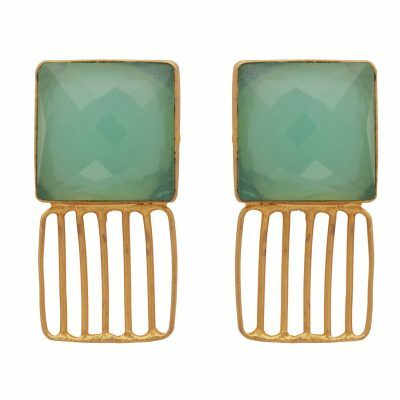 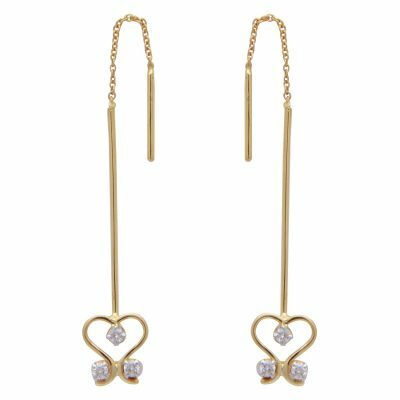 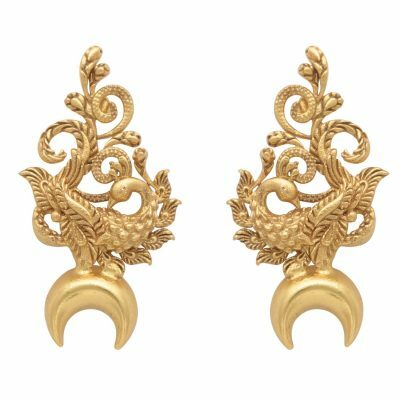 Very Light weight for pierced ears; gold rhodium plated on brass; 3.9 cm in full length. 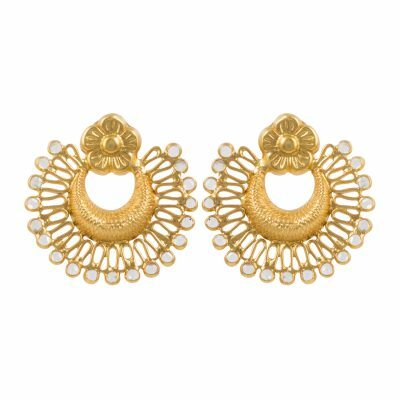 Very Light weight for pierced ears; gold rhodium plated on brass; 5.7cm in full length.